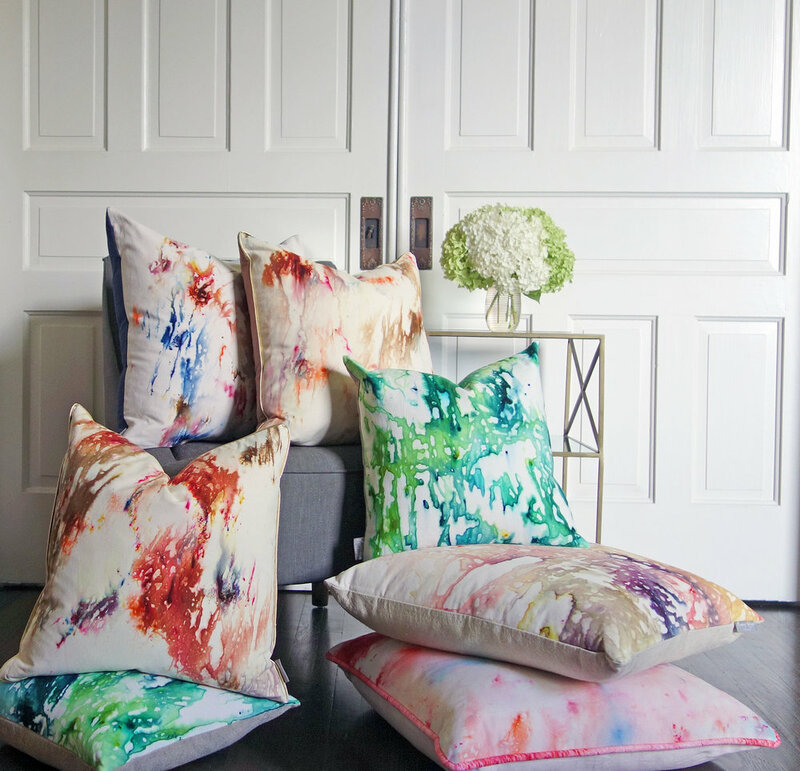 HOW MUCH DO WE LOVE AUBREY HYDE'S GORGEOUS HAND-DYED, ONE OF A KIND WORK? Enough to convince her to create some one of a kind creations just for us. Plus, the only thing better than one of a kind jewelry is having an equally unique bag to travel, pack and store your accessories in. Aubrey hand dyes all of her textiles in her studio in East Nashville on 100% organic cotton duck. Each pattern is unique and is created without the use of silkscreens or digital printers. Combined with a 100% buttery-soft suede, these fully lined bags are one of a kind in every way. 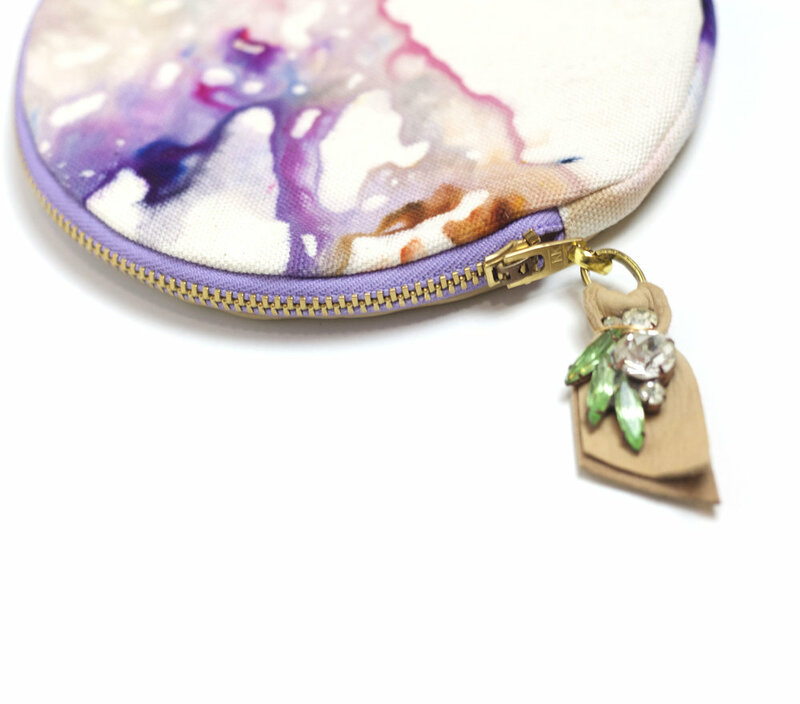 Each zipper pouch has been adorned with a unique crystal rhinestone piece and suede tassel. The rhinestone pieces originated from a necklace c.1940s. Judy Garland, anyone? Be sure to check out more of Aubrey's beautiful home textiles and accessories on her website.